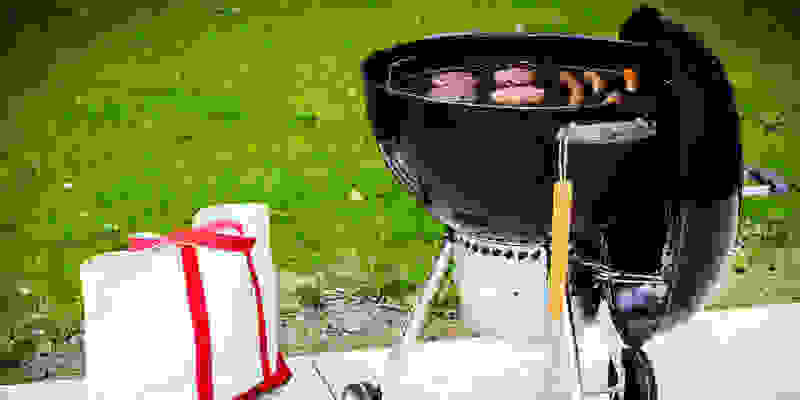 Here’s how to ruin a summer barbecue: Don’t buy enough ice, refuse to move indoors when a thunderstorm rolls in, or serve up burnt, messy food. We can’t help you with the first two, but if you’re looking for the essential tools every backyard grill master should own, we’ve got your back. From the best-performing grills to the grippiest tongs and most accurate meat thermometers, we’ve spent hours cooking burgers, turning corn on the cob, and smoking pork loin to see which equipment will make your cookouts the stuff of neighborhood legend. And after hours of testing, we can recommend everything you need to throw the perfect barbecue. If you’re finally ready to ditch your dusty old grill and spatula in favor of something better, the Editor’s Choice award winners we’ve included in this roundup are an ideal upgrade. The Napoleon Rogue 425 is our favorite gas grill, and serious outdoor chefs tend to agree. In our tests, we found that its four burners heated evenly at both high and low temperatures all across its 425-square-inch main grilling surface. The 425 also offers a quick-to-boil infrared side burner and a surprisingly accurate built-in thermometer, plus you can put it together in just 90 minutes. 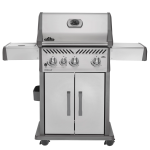 Features include sear plates to prevent flareups and folding stainless steel side shelves for easy storage. But the coolest trick by far is an optional tray that converts the grill into a charcoal pit. 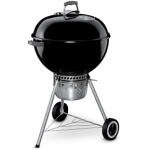 The Napoleon brand has been building grills in Ontario, Canada since 1976, and has developed a reputation for quality and reliability that rivals better-known brands like Weber. It might be a little hard to track down, but the Rogue 425 can be found at select online retailers and at independent outdoor shops. 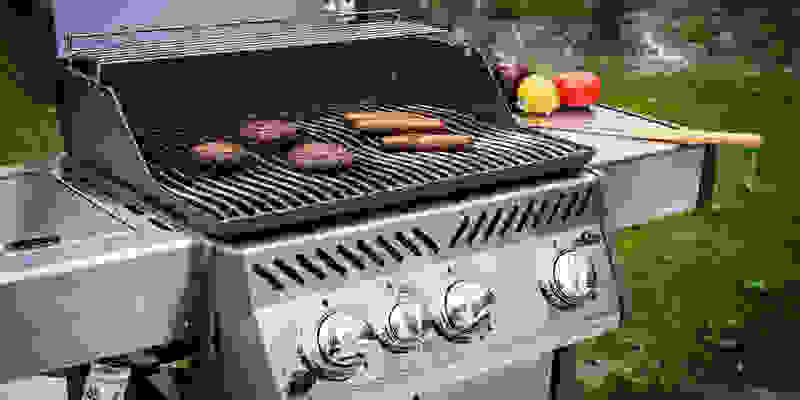 See more of the best gas grills we tested and reviewed. There’s a reason so many people use the word “iconic” to describe Weber kettle grills. The Weber 22” Original Kettle grill has been in production since 1951, and more than 60 years later we think it still offers the best combination of price, convenience, and performance. It's about as simple as they come, constructed from two curved sheets of steel, but the iconic kettle shape isn't just for looks: The lack of weld points also prevents unwanted heat loss. The 22-inch Weber has a large 363-square-inch grilling surface, and the classic domed lid is large enough to accommodate large items. The Premium model adds a deluxe ash catcher and thermometer, which the original model lacks. Quick to set up, quick to heat up, and impossible to break, this Weber is also covered by the company’s limited 10-year warranty. See more of the best charcoal grills we tested and reviewed. The OXO Good Grips 16-Inch Grilling Tongs are the best on the market. 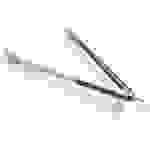 The scalloped pincers—a design that aligns the edges all the way around—creates the perfect surface area for gripping a variety of foods and textures. During testing, it flipped heavy, saucy chicken with ease and was able to grip even the tiniest sprig of asparagus. OXO’s signature non-slip grip makes the handle extremely comfortable, and the tongs have the perfect amount of springiness and tension that won’t tire your hands. Between the comfort-forward design, the versatility, and its grip, this model will feel like an extension of your arm—and the price is definitely right. 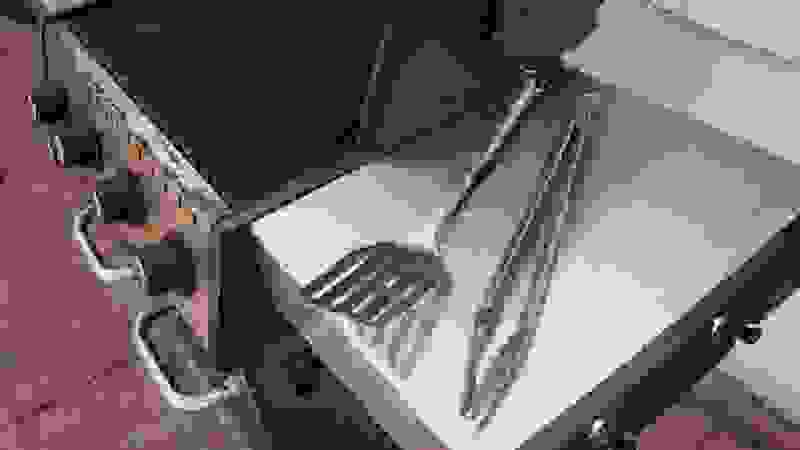 See more of the best grill tongs we tested and reviewed. With a lightweight feel and comfortable, soft-grip handle, it’s easy to like the OXO Good Grips 16-Inch Grilling Turner with Serrated Edge. 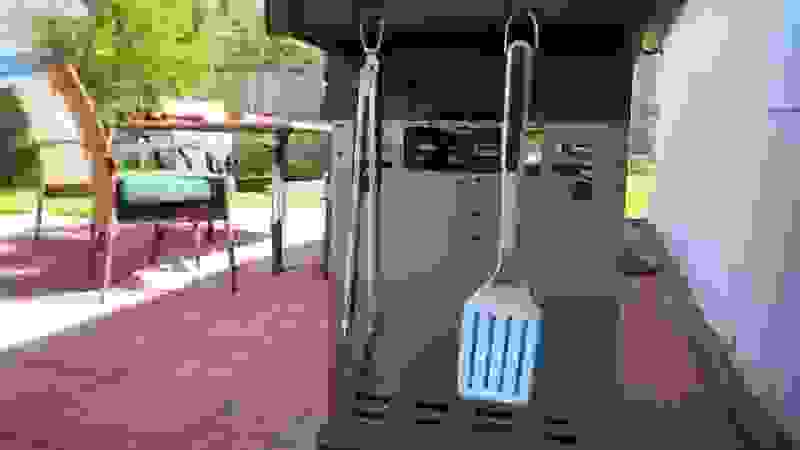 The spatula's sharp top edge makes quick work of separating the burgers from the grill, while the long handle keeps your hands a safe distance from the flames. During testing, it was one of our favorite spatulas to use for pizza, giving us the perfect amount of control as we deftly flipped the awkward piece of dough. 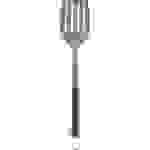 Also nice: this spatula has a serrated edge that's sharp enough to cut into meat if you so desire. Versatile, comfortable to use, and cleverly designed, this spatula also won us over with its affordable price tag. See more of the best grill spatulas we tested and reviewed. It really doesn't get much better than the ThermoWorks ChefAlarm. It’s the most accurate probe we’ve tried and you can even calibrate it to ensure it displays the correct temperature. Its backlit display can appear a little crowded, but thankfully the “current temp” reading is large and easy to read. You can use this item as a timer and adjust the volume of the alarm, plus it keeps track of the minimum and maximum readings. It even has a high- and low-temperature alarm. We especially love that it has a hinged, tilting screen for easy viewing on the countertop, but it also has a magnet and a clip if you’d prefer to place it elsewhere. Spending $60 on a thermometer might not be for everyone, but it's well worth it if you're serious about your barbecue. The cable is heat resistant to over 700° F so there's no reason to think that this model won't last a lifetime. 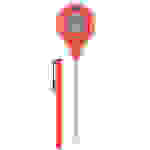 It's the best probe thermometer on the market. See more of the best probe thermometers we tested and reviewed. The ThermoPop offers super quick, accurate readings in a nice-looking package. 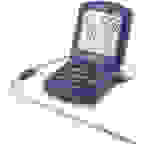 It averages a mere 3 seconds to reach final temperatures. The probe is long enough to reach the center of a roast while keeping your hands safely away from the hot steam, yet the super thin tip won’t cause too much chicken juice to escape after probing. Fast and precise, the ThermoPop’s aesthetic features are also a slam dunk. With a click of a super soft button, the display rotates 360 degrees for ease of viewing. Another click and the backlight illuminates the large numbers. Simple and convenient. 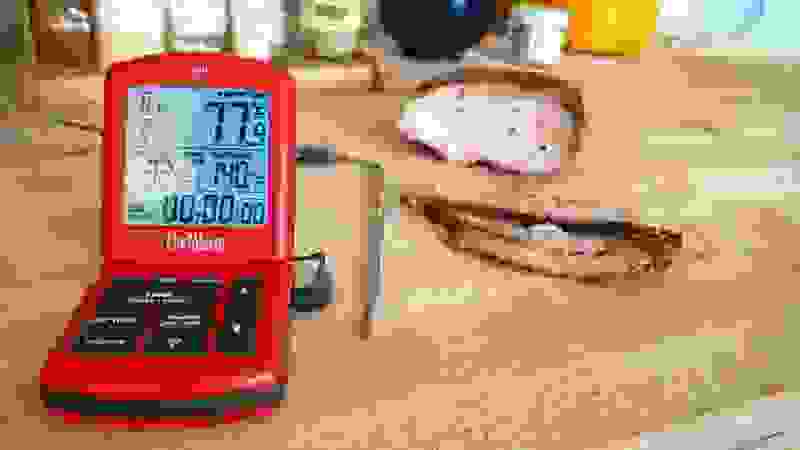 See more of the best digital meat thermometers we tested and reviewed.